Appearance: With a length usually ranging from 10 to 19 mm, wasps have a basic morphology similar to that of bees and ants sexed. Habits: These insects are extremely important for pollination. Like the bee, wasp and bumblebee form of organized societies where there are a queen, workers and males. Nourisment: The wasp feeds on sugar (empty cans), fruit rotting and sometimes honey from the hives. 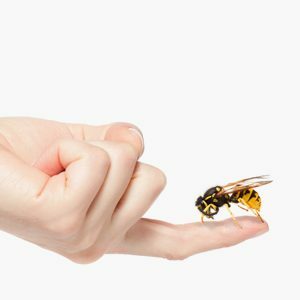 To feed the larvae, wasps must hunt other insects that they cut into small pieces. Queens emerge from their torpor (numbness) in April. They begin looking to found a new colony. The queen lays without the male. The eggs develop even when they are not fertilized. The queen lays many eggs that hatch in five days. The larvae look like big maggots. The queen of all feeds with nectar, and then with prey that hunt and grinds. Reached their maximum size, after nine days, the larvae pupate in the cell reserved for them in the nest (trap). After several days (approx. 14), an adult insect out of the nest. From birth, workers are busy nest building and maintenance. In the second half of September, especially in early October, the males and fertile females are emerging. The first born of unfertilized eggs, fertilized eggs seconds, such as those that give rise to the workers, but laid in special cells, more spacious than the others. With the approach of the cold season, males and females mate. With the exception of pregnant females, wasps die with the arrival of the first cold. Other: Bites can be very dangerous in case of allergies. Do not wait to be infested! 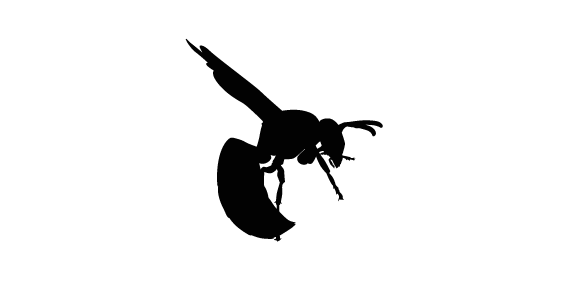 For the extermination of wasps, call Groupe AZ Extermination. His professional inspection is free, effective and very fast. Call 514-381-3555 now!